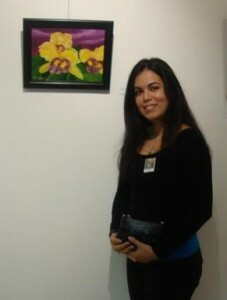 I was born and raised in Puerto Rico, and am very proud of the natural beauty of the island. No matter how short the visit, I enjoy every chance I get to escape to my homeland. 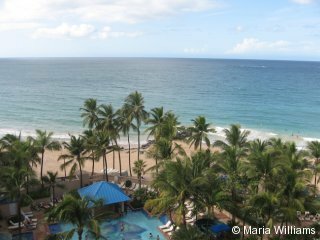 During the fall of 2009, I wanted to share the beauty of the island with my in-laws, so we traveled to Puerto Rico and experienced a road trip to visit popular attractions and locations. The trip was extremely fun. This last fall, I returned with my husband and visited my parents, and I still can’t wait to go again! Puerto Rico possesses numerous breathtaking beaches – a combination of blue waters, sand, palms, and tropical flowers. 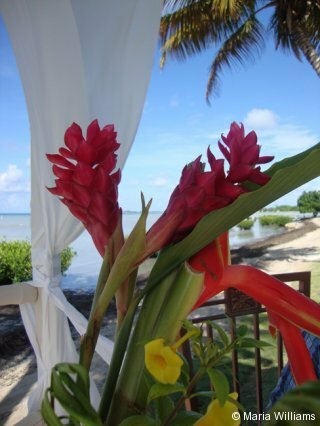 The colors of many flowers on the island are not only vibrant, but also evoke happiness. With varying hues, the mountains offer astonishing shades of green. You will find some of the most popular beaches in the North and West area. 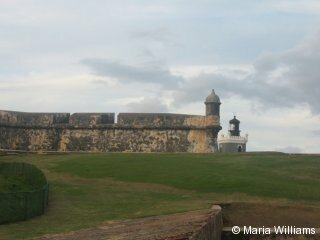 Old San Juan provides access to a great deal of old architecture and buildings, such as the fort, San Felipe del Morro (or for short, El Morro). 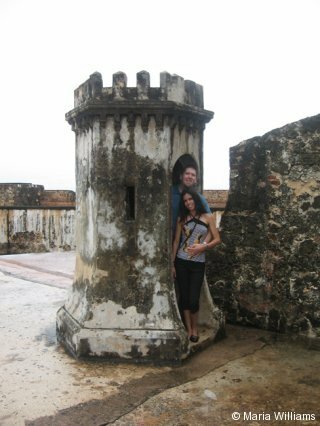 This attraction was built in 1539 for the purpose of defending the port of San Juan. Situated in front of the ocean, the rooms and walls tell a story of Spanish occupation and the Spanish-American War. 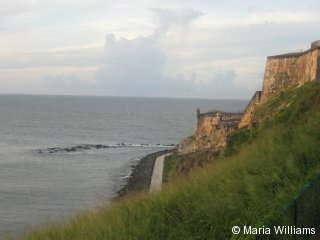 Not only does El Morro represent history of the region, but the site also offers beautiful views. 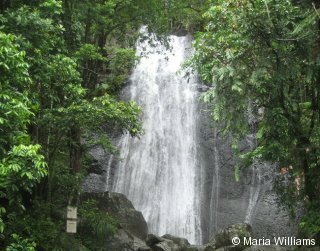 One of my favorite places to find peace in nature is El Yunque – a national rainforest that extends beyond various municipalities of Puerto Rico throughout the north central region. 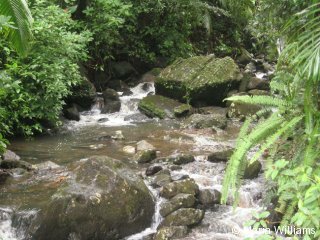 It is here that you’ll find gorgeous waterfalls and rivers. 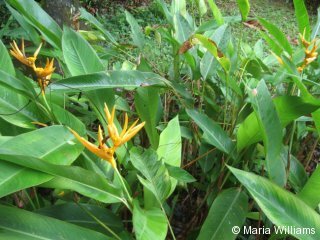 Many exotic plants and birds call this forest their home. In Arecibo, you’ll encounter the Arecibo Lighthouse and Historical Park, which offers an amazing view of the Atlantic Ocean and access to historical objects. The Arecibo Observatory is also found in the city, which houses the largest single aperture radio-telescope in the world. This place is a favorite amongst scientists and astronomers. 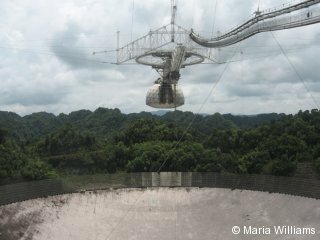 Interestingly, the Arecibo Observatory has been featured in various movies, such as Contact with Jodi Foster. The Camuy River Cave Park (one of the largest cave systems) is another noteworthy attraction. When I visited, a small trolley transported us to where the caverns are located. Temperatures start to decrease the farther you ride down. It is quite refreshing. The main chamber of the cave is open to the general public, and we were able to walk inside and explore the beauty of the stalagmites and stalactites. Many bat species live in this place. 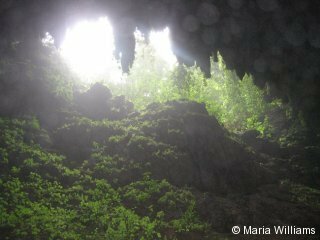 A large opening in Clara Cave allows the sunlight to come in, which creates a rather exciting experience. Known as “The Pearl of the South,” the city of Ponce is full of stunning sights as well. 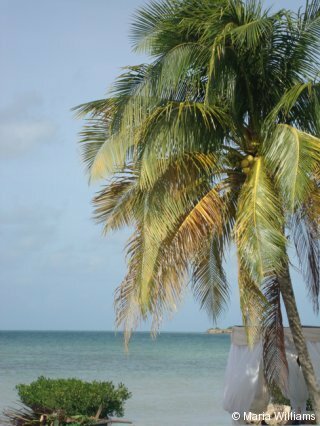 The views of the Caribbean Sea in Ponce are impressive – especially when you visit the La Guancha Boardwalk, where you can catch a glimpse of Coffin Island in the distance. 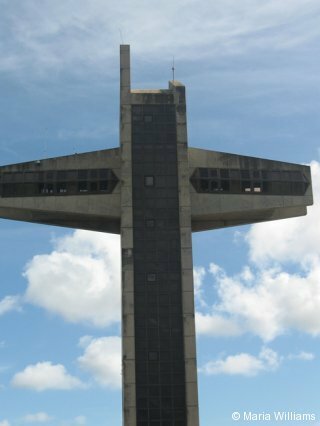 Providing spectacular views of Ponce, visit “La Cruzeta El Vigia” to take advantage of the cross-shaped observation tower. This attraction was originally used to view incoming ships traveling through the area. 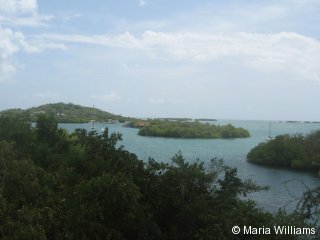 Located in the city of Lajas, La Parguera is the perfect place to plan a boat trip (day or night) because of its eye-catching sea life and scenery, such as mangroves. During the day, the mangroves and floating houses come alive. By night, you can enjoy a spectacular treat. 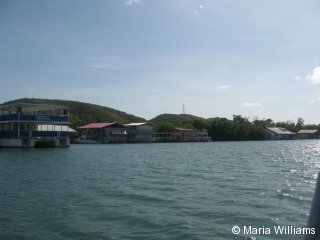 La Parguera is home to Phosphorescent Bay. 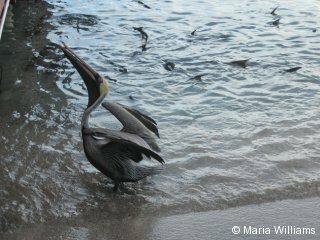 There are microorganisms in the water that light up as part of their defense mechanism. The result is a bioluminescence that intensifies if a swimmer goes into the water. You can truly experience this incredible phenomenon during a night trip, as they sometimes create shapes as they swim.